Prostate cancer has become such a common illness that many patients who come in for treatment know someone who has had to undergo treatment for the same condition. When the person they saw go through therapy years ago experienced harsh side effects from radiation therapy, the patients are often concerned that their own results will be the same. Using the experience of those who went through cancer treatment many years back is not an effective method of understanding what it will be like for prostate cancer patients today. Numerous advancements have taken place in the treatment of this condition in the past few years. The course of treatment for every prostate cancer patient can vary widely, as every case is unique. Those who are diagnosed as having this condition should not expect their experience to be the same as a friend, acquaintance, or even relative. However, the biggest influencer on the side effects patients experience now, when compared to then, is the use of state-of-the-art technologies that were not available in the past. 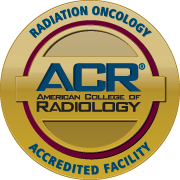 Radiation therapy is generally a painless procedure. The side effects any person will have from the treatment depend on the area treated and the condition of patient’s overall health; increased accuracy in radiation administration thanks to technological developments has generally resulted in a significant reduction in side effects. Modern patients may find that the hardest thing they must do concerning their therapy is to get themselves to the clinic for treatment every day. Many are surprised at how painless treatment turns out to be for them, but that is why it is important to be treated by the top urologists in Oxfor, FL, such as the professionals at Advanced Prostate Cancer Institute.